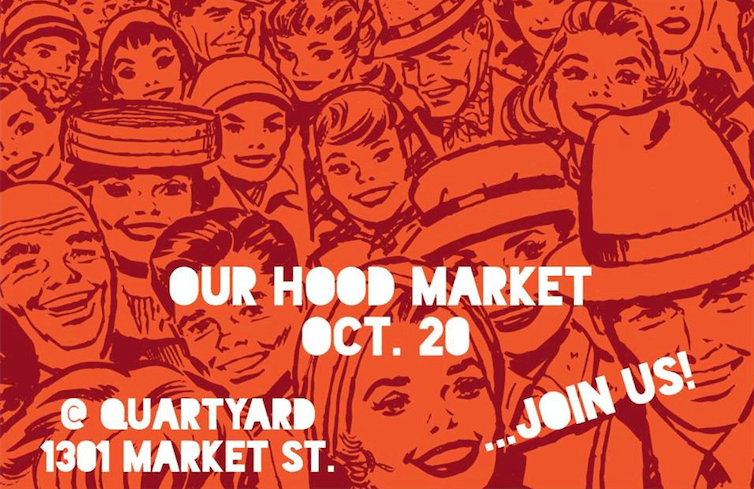 Our Hood Market and Quartyard bring you a pop up shopping event at Your City Block on Saturday, 10/20 from 11-4. Shop for original art, handmade and vintage goods. The Quartyard plays host to a craft beer garden with over 20 beers on tap, delicious cocktails and seasonal favorites, plus local Southern California cuisine and coffee! Visit Ourhoodmarket.com for details! Interested in being a vendor? Visit ourhoodmarket.com for info and to apply!